He's got the investigative experience and a personal connection. "Somebody made a decision to poison my city, whether by design or happenstance, it's my city. They can't drink the water, they're worried about their kids," said Deputy Chief Investigator Ellis Stafford. He wants to hold those responsible for the water crisis accountable. And, he hopes the people of his city will give him and the rest of the team a chance. He explained, "I told 'em if you don't believe in the system, you don't believe in State Government, that's fine. Believe in me, give me a chance. I've got a personal stake in this. When this is all said and done and years go past, I still have to see these folks. They were in my wedding, they're the Godparents of my children." The investigation is well underway, but Special Counsel Todd Flood said he's not getting into the details. "Andy and Ellis they've gotten from us certain things. They're going at it in their very methodical way of making sure that we do it right," Flood said. Starting with a timeline of key events possibly going back to 2006. And, looking at all communication. 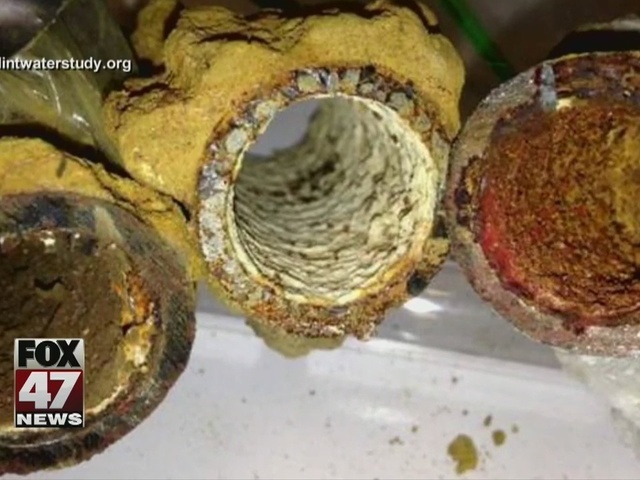 "We're going to go back to the beginning when people started talking about getting off the Detroit system and getting their own water system and take it right up to today," explained Chief Investigator Andy Arena. "Getting those internal emails and text messages and memos that went back and forth." "Because I don't want to get something and later on have it be quashed because it violated a 4th amendment issue. We're doing it proper," Flood said. Arena added, "This is the biggest case in the history of the State of Michigan, right? And that's what draws us to this - is to get these people their answers. These people are victims, that's who we represent." The people Ellis calls family and close friends. The team is made up of nine retirees from the FBI, Secret Service, State Police and Detroit Police. They're being paid by the Attorney General's office.